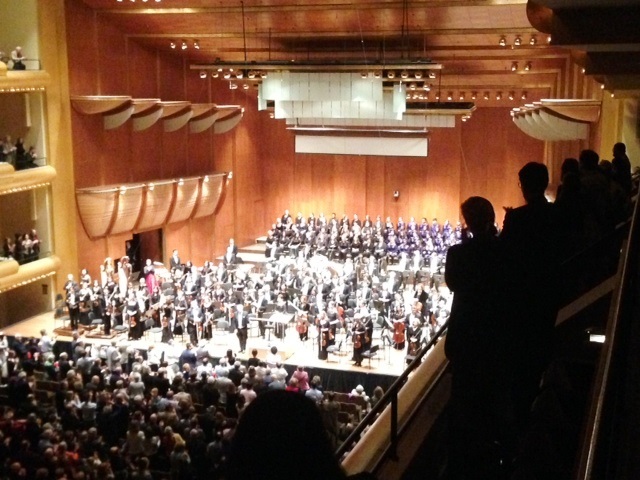 (Source: nytimes.com) and in front of a full house containing–wonder of wonders–lots of younger folk, the New York Philharmonic made the hall shake. with–after however many attempts to improve them– inadequate acoustics. 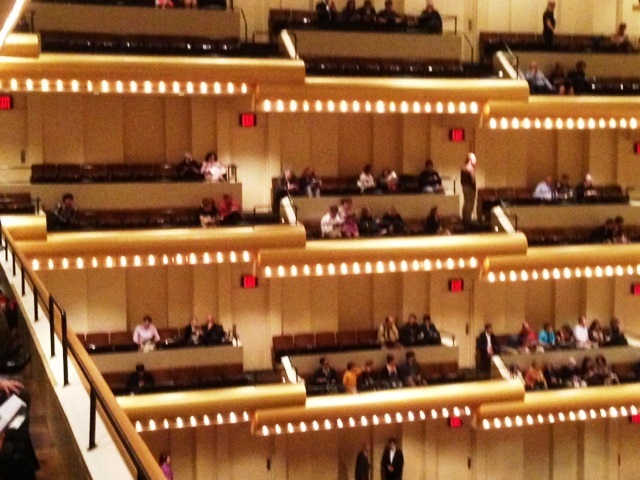 Sitting in the last two seats in the upper ring, however, I think Rory and I found the exact spot for the Mahler. The enormous orchestral forces—many, many brass, winds and eight timpani, to name just a few of the more than 100 instruments on stage–really sounded where we were. For once, we had no complaints. 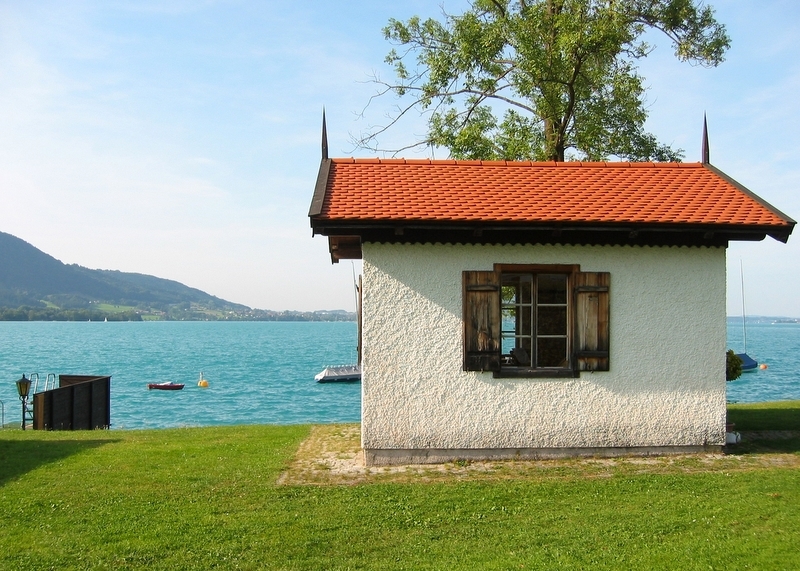 It was an hour and 40 minutes of solid music–seven movements in a row which Mahler described as his feelings about the Austrian countryside he retreated to each summer to compose. (Source: themusicsalon.blogspot.com) In general, I dislike the whole idea of program music (think Strauss’ Till Eulenspiegel–a piece I might have liked if I didn’t hear his head chopped off)–it leaves no freedom to the listener. Mahler, in the middle of the program music versus the absolute music argument must have ultimately agreed as he removed the descriptive titles from the movements. 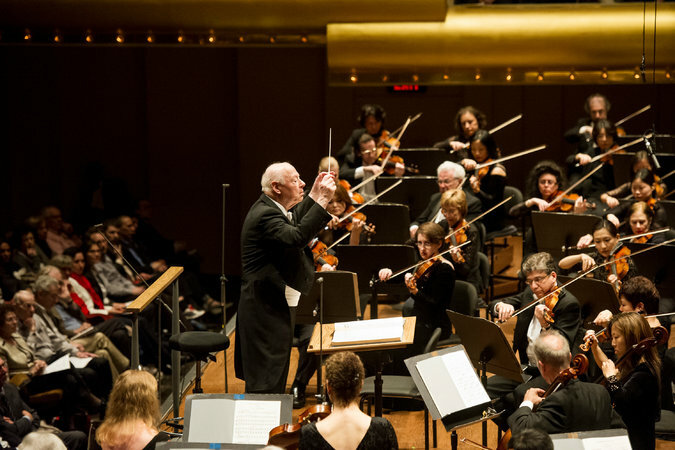 But Haitink and the Philharmonic playing its very best (and it is among the greatest orchestras when it does) communicated that this piece was about nature. 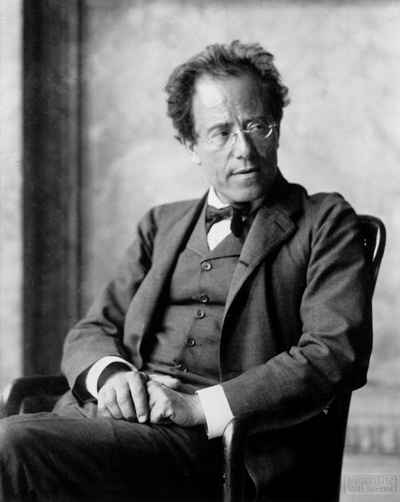 (Photo of Mahler by Moritz Nahr from en.wikipedia.org) From the mezzo’s moving version of Nietsche’s “O Mensch, Gib Acht” (O Man, Take Heed) through the celestial women’s and children’s bell-like song from Mahler’s Des Knaben Wunderhorn, through to the stupendous final chord of the adagio with the two timpanists moving their dual drumsticks from tonic to dominant back and forth for what seemed 20 minutes or so, all I can say is, for the audience and for us, it still wasn’t enough–this was an ovation worth standing for. There are SIX movements in the Mahler Third. What was to be movement # 7 became the last movement of the Fourth Symphony. The crown of the entire work is the Adagio (Last movement). Thanks for your comment Bernie. You are of course, correct.